Arsenal Pulp Press, 9781551525983, 176pp. 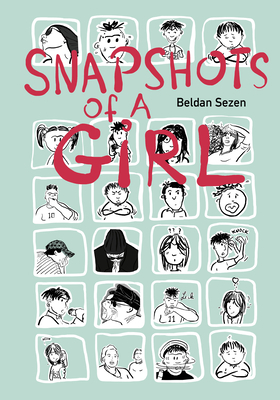 In this autobiographical graphic novel, Beldan Sezen revisits the various instances of her coming of age, and her coming out as lesbian, in both western and Islamic cultures (as the daughter of Turkish immigrants in western Europe)--to friends, family, and herself. Through a series of vignettes, she navigates the messy circumstances of her life, dealing with family issues, bad dates, and sexual politics with the raw honesty of a young woman looking for happiness. Snapshots is an amusing, thoroughly modern take on dyke life and cultural identity. Beldan Sezen's previous graphic novels were Zakkum and #GeziPark . Beldan Sezen: Beldan Sezen uses drawing, collage and text to create stand-alone works and comic scenarios. Her writing and drawings are included in publications, anthologies and exhibitions.Her graphic novels "Zakkum" and "#Gezi Park" were shortlisted for Lambda Literary Awards.